Email Marketing is important. And many businesses owners believe that it is the most powerful strategies that can be used by them. For startups and established businesses, you can use email marketing to connect with new customers, build a relationship with current customers and retain them, create a market presence, increase sales and grow your business as well. Most businesses used to handle email marketing on their own, but in this competitive era of digital marketing, they have realized that in the long term it’s best to get it outsourced. When your business grows, you tend to become more competitive, and it is then you should invest in email lists for your email marketing campaigns. As it is cost-effective, it aids you in building your brand, increases your ROI, and allowing you to target your audience. Annual revenue becomes important to all businesses. It is wise to strategize your marketing budget. So, what can one do about it? Here are 7 reasons why you businesses should put more money into email marketing. Most companies don’t have a marketing plan in place. So it is important to be familiar with digital marketing aspects, like email marketing, SEO, web designing, content creation and content creation and much more. A marketing firm may want to know what exactly you want to achieve. They will make sure you take advantage of the right channels and have something concrete in place. It’s a great feeling to see your website is drawing more visitors. But if there are no conversions, then what is the use. So, it becomes important for you to understand your audience. When you have a marketing plan, you can collect data about your visitors and create targeted campaigns. So, in future, you can keep them engaged with your marketing messages. Having an old website does not lead you anywhere. So, you need to have the right design team to make it more captivating for your audience, while meeting your business objectives. You might want your website to be designed in such a way to generate leads, and produce more sales. Today, it is crucial to SEO to have a company blog. It is an exceptional channel for communication, trust building and leads nurturing. Updating it regularly makes the search engines happy. So, invest in blogging and create engaging content and post it on the best channels available. While you have followers on Facebook and Twitter, they may be friends. And you need some real followers who will become advocates for your brand. Here number does not matter, quality of followers does. So, engage them with your messages and ask for feedback and respond to comments, be it good or bad. This is the best social media platform designed for building and nurturing relationships. 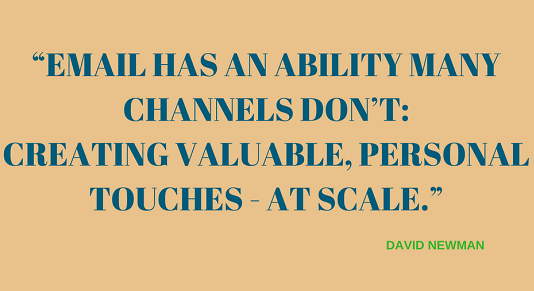 If you happen to send the same old email to your customers on your subscriber list, you are limiting your potential. With the number of tools available in the market, it is has become easier to collect data on your leads and segment them into different categories. You can also personalize your messaging that helps in the buyer’s journey. While you may have enough information to share with your customer, you may not have the time to organize or put together your content into a series of posts. So, it’s best to invest in email marketing and create content such as e-books, white papers, info graphics, etc. and begin to establish your business. If you want to succeed and grow your business, the best way is to provide them with relevant information that answers their generic questions. Email marketing has its own benefit and only an experienced marketing service provider will be able to guide you in all the different aspects like SEO, social media, content writing, design, development, strategy and more. On the day of her graduation, Judy finished reading Robin Sharma’s The Monk Who Sold His Ferrari. It certainly was the turning point in her life because instead of her 5 figure engineering job she decided to join a start-up that developed gaming apps – because that’s what she wanted to do. The start-up experience not only shaped her go-getter, never-say-die attitude but also made it possible to have different perspectives and ideas about people, circumstances and situations. Today after lending her support and knowhow to more than 8 start-ups, she is a successful Digital Marketer and Consultant, having first-hand experience in working on social media, email blasts, online marketing and SEO. Based out of Ohio, Judy stays with her pet pug, enjoys wine and coffee, and celebrates Thanksgiving with her friends from the 1st start-up! This entry was posted in Email Lists, Email Marketing and tagged buy email lists, email lists, email marketing lists, targetted email lists. Bookmark the permalink. Copyright © 2019 @ Email Data Group, All Rights Reserved.